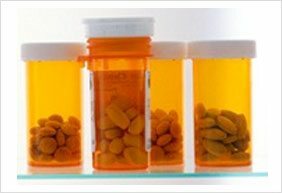 You may not know this, but under the current laws, you have no right to compensation from an injury or death from a defective generic drug. In 2011, the US Supreme Court’s ruling in Pliva v. Mensing stated that generic drug manufacturers are not responsible for updating the information on prescription medication labels, and therefore would not be accountable in court for failing to warn consumers about side-effects, even if it can be proven that the company knew about possible fatalities or injuries as a result of taking the medication: and many manufacturers have used this loophole to avoid being held accountable for their negligent actions. Kira was a 22-year-old woman who took a generic version of the drug, Darvocet, and died within eight days taking only six doses of the medication prescribed by her physician. Her tragic death was sadly one of many caused by dangerous or defective drugs. Shortly after her death, the FDA removed both Darvocet and generic versions from the market due to cases like Kira’s, and a class action suit began for the people and families affected by Darvocet. Unfortunately, due to the current laws that excuse generic brands, Kira’s family and many others like her were unable to receive justice for their loss. The public needs to be aware about cases like Kira and countless others, and we need to raise support for new legislation to reverse the ruling in Pliva v. Mensing. Earlier this year, Senator Patrick Leahy, Delaware, and Representative Chris Van Hollen, Maryland, introduced the Patient Safety and Generic Labeling Act that would allow victims and their families to seek justice against generic drug manufacturers.